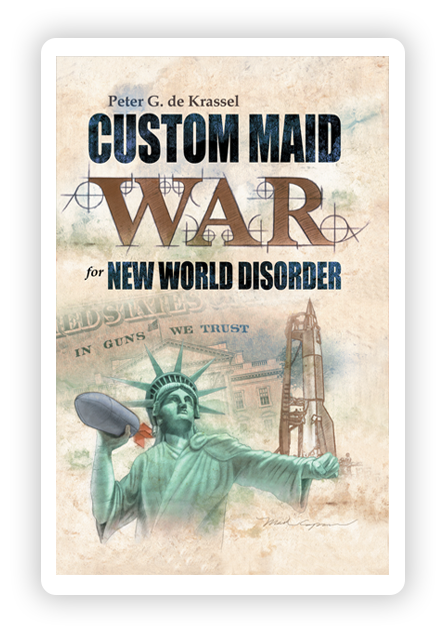 Categories: Digital Edition, EBook, The Custom Maid Trilogy by Peter G. de Krassel. 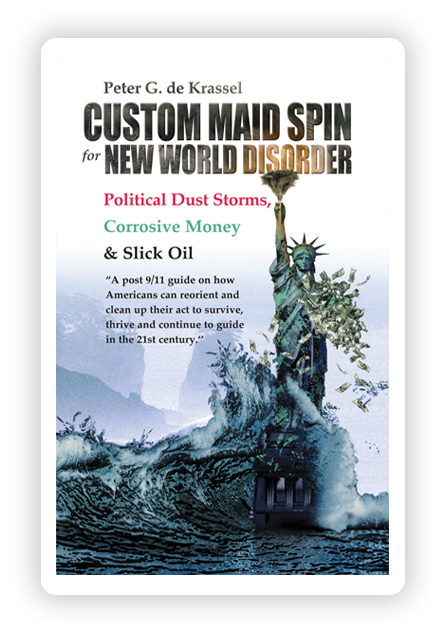 Chock full of heretofore undisclosed facts from World War I, the Cold War, Korean War, Vietnam War, Afghanistan and Iraq Wars, Custom Maid War for New World Order explores in detail America’s nuclear and cyber options in future potential war swith either Iran or China. 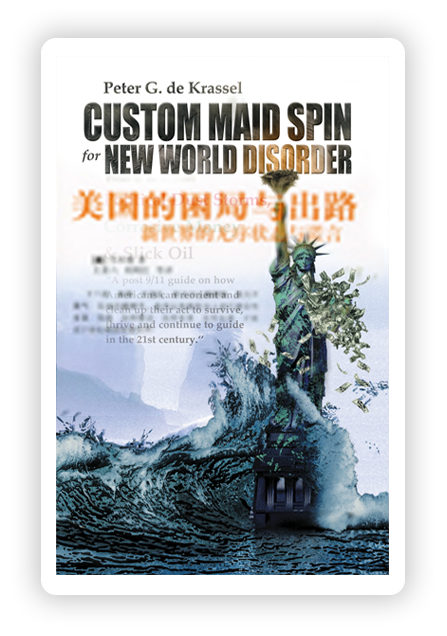 Custom Maid War spells out why the CIA and FBI can’t keep up with cyberterrorists. Even with all the billions of dollars the U.S. spends on security, its out-of-date intelligence systems are making the Internet “the terrorists most fertile recruiting ground and most potent global terror vehicle.” The book explains the startling realities of why the government cannot break the encryption technology terrorists use to hide their communications, fund their operations and hack into U.S. networks. Most of the federal security agencies were given failing grades on cybersecurity. America could be the target of a “digital Pearl Harbor” if we don’t invent a tighter Internet Security. 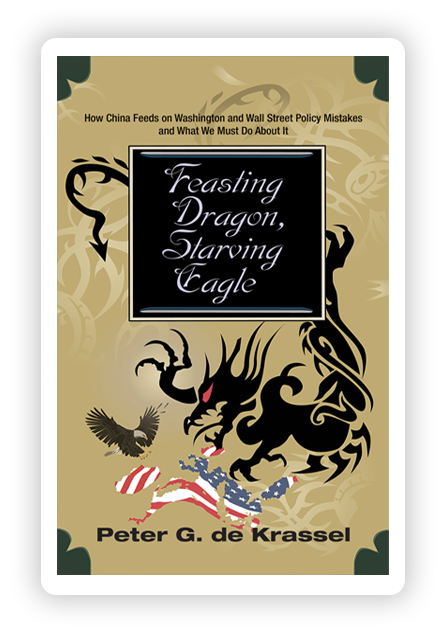 The biggest threat to America, according to the author, Peter de Krassel, is the environment. Hurricane Katrina confirmed his concern several months after the book was published. A call to political arms if America is to survive and continue to guide in the 21st century.